Hello friends! 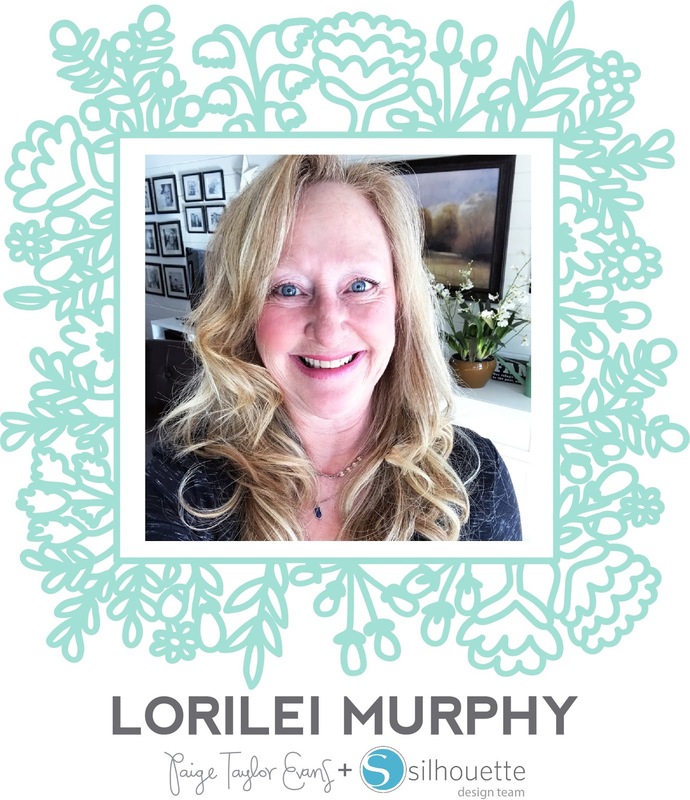 Lorilei here! 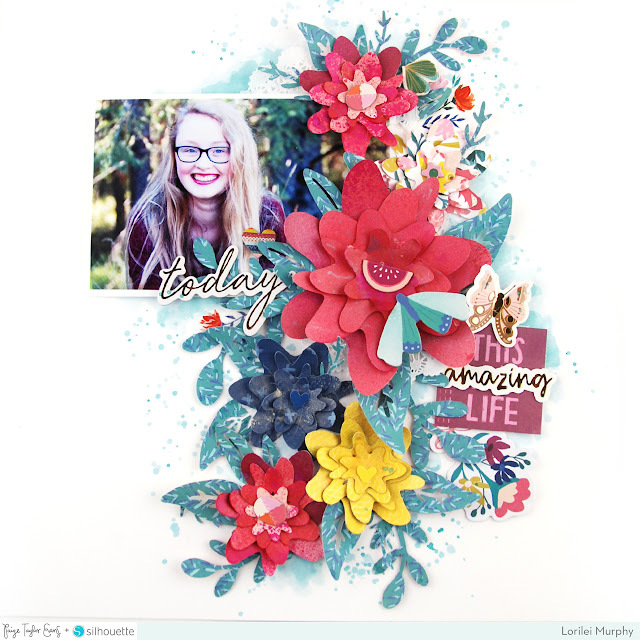 Today I have a layout featuring one of my favorite things - flowers! 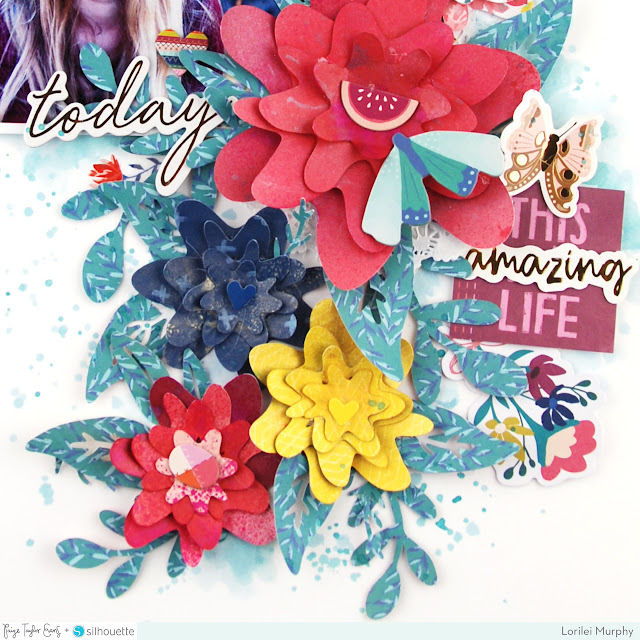 I used Paige's Folk Art Flower Group cut file. You get a lot of bang for your buck with this cut file as it has multiple flowers and leaves! I decided to use Pick-Me-Up for my layout. The colors remind me of fall and the deep pink/red goes beautifully with my photo! I did some customizing with the cut files: I made 4 of the main flowers in 4 consecutively smaller shapes so that I could stack them up and have a dimensional flower. I also cut a large one (approximately 5") for a focal flower. 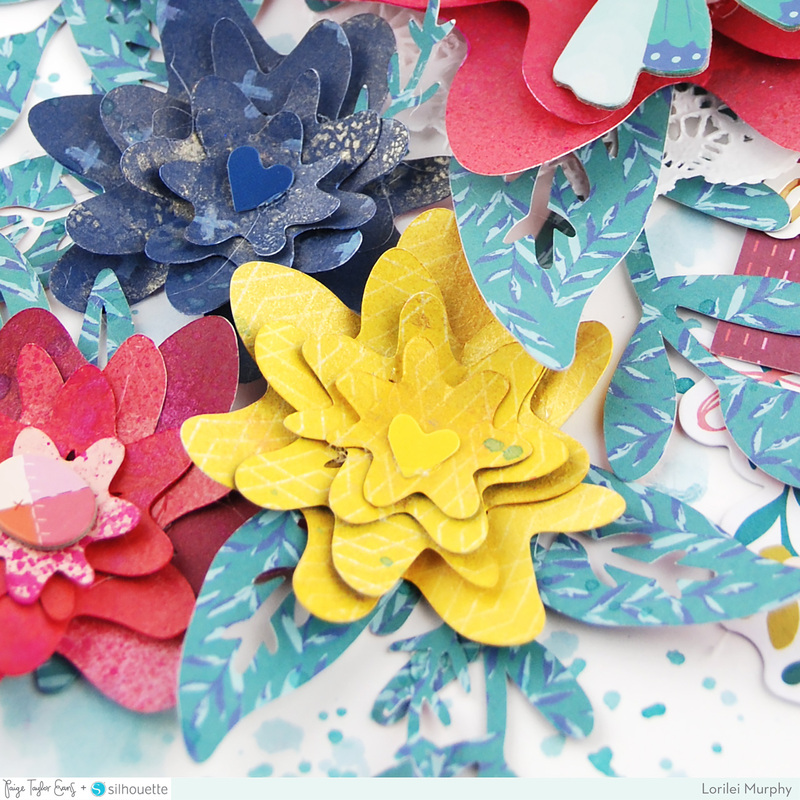 I cut two from pink/red paper (Paper 11), one from navy (Paper 03) and a cheery yellow flower (Paper 07). I cut the different leaves all from the teal Paper 13. I arranged all my flowers into a design on the page first. I then added the photo and began tucking in the leaves. It seemed easier to add the leaves this way to see where they looked best. Once I had the flowers and leaves arranged, I decided I needed some paint in the background. I puddled paint around the leaves with a brush and then added some splatters as well. I added Rub-On flowers, Chipboard Stickers, and Stickers from Pick-Me-Up for my finishing touch! This is SO GORGEOUS! LOVING those flowers!!! !